Glitter nail polish is a right pain to get off and it's a lot harder to remove than regular colours. I get so irritated that, despite owning lots of glitters, I tend to shy away from them because I can't be bothered with the task of getting it off. I felt like this because when I got home I though the contents in the bottle looked no different to some cheap glue. It's a beauty hack that many of us know so I felt a little cheated if that was all that was in the bottle. One good thing is that it is very easy to apply. It applies just like a nail polish but it does take a little while to dry, which I would expect from a tacky, adhesive base. Once dried it goes clear so acts as a great base for any nail polish. The main problem with this is that it's very easy to peel off. I know that's the point of the product, but there is not way you'd have a full set of painted nails last longer than a day when using this base coat. The slightest catch and it starts to peel away. It's also really tempting to peel it off yourself! Every cloud has a silver lining: I think this base will be ideal for m e because I like to change my nail polish so frequently! I can change it every single day now without the hastle of getting a load of nail polish remover on my hands and I don't have to worry about those pesky glitters. Yes, I may have paid £4 for a fancy bottle of glue, but I will be finding many uses for this product! Ooooh good review Becky. 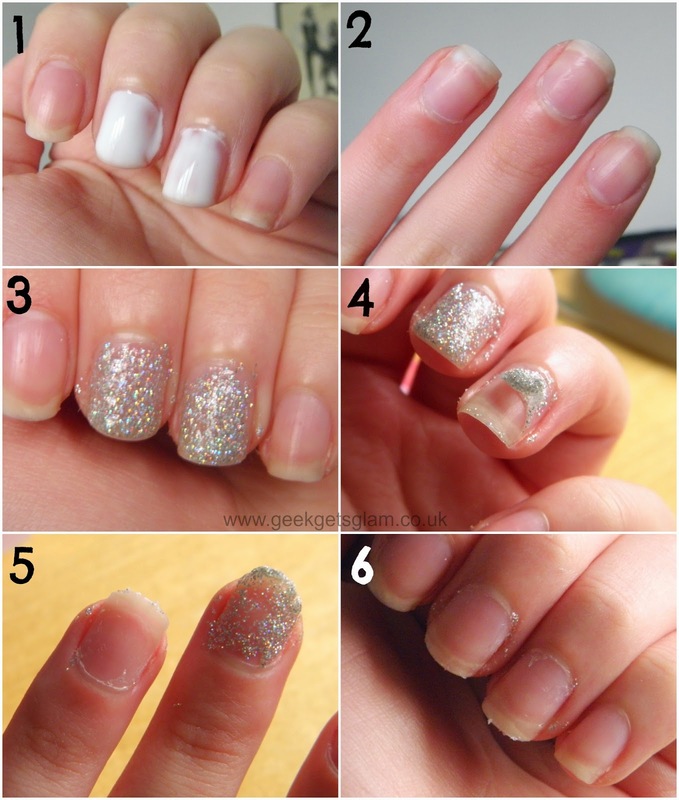 I love the idea of this nail polish, especially at Christmas when glitter is my favourite love/hate product!